Yogi Adityanath Praises Budget, Akhilesh Yadav Says It's "Pro-Rich"
Addressing a hurriedly called press conference, the chief minister said the budget proposals were in line with the Bharatiya Janata Party's vision to provide houses to all by 2022 and to double the income of farmers when the country celebrates its 75th Independence Day. 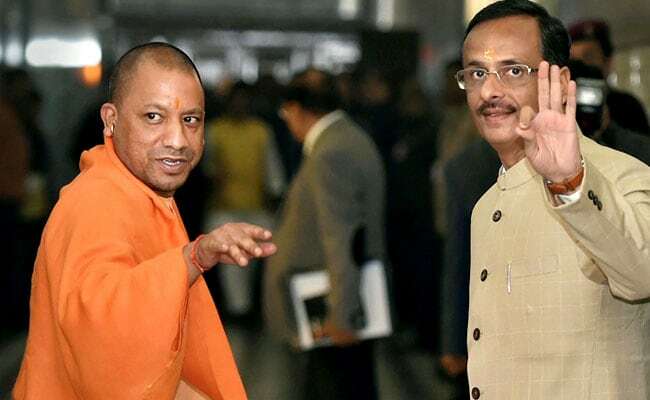 Lucknow: Uttar Pradesh Chief Minister Yogi Adityanath on Thursday lauded the Union Budget 2018-19 as being "focused on the youth, poor and women" while Samajwadi Party President Akhilesh Yadav slammed it for showing he BJP's bias towards the rich. He said it provided for setting up eight of the 24 new medical colleges in Uttar Pradesh, for which Prime Minister Narendra Modi deserves special praise. Yogi Adityanath also praised the Budget for proposing free electricity connections to the poor and eight crore cooking-gas connections under the Ujjwala scheme. "The budget is one which will take the economy forward, has a new vision for India's infrastructure and ensure comprehensive progress and prosperity for villages" he added. His predecessor and SP leader Akhilesh Yadav said it reflected the bias of the ruling BJP towards the rich. "The budget is a big disappointment for the poor, farmers and the middle class," the SP leader added.